Ty Vincent, MD is an integrative physician who began practice in 2005 in Wasilla, Alaska. He ran a large multidisciplinary integrative clinic until December 2016. 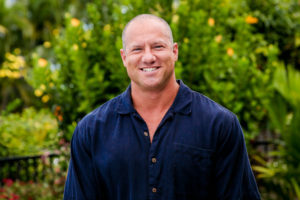 Dr. Vincent is married with eight children and currently resides in Kona, Hawaii. He works from home, helping chronically ill people around the world via telemedicine consultation, and sending Low Dose Immunotherapy to their homes. Dr. Vincent completed medical school through the University of Washington, and a residency in family medicine in Anchorage, Alaska. He has gained additional training in acupuncture, Chinese medicine, environmental medicine, allergy and immunology, bio-identical hormone therapy, chelation therapy, hyperbaric medicine, integrative cancer therapy, Reiki and nutritional medicine. Dr. Vincent has lectured nationally many times on the subjects of bio-identical hormone therapies, vitamin D, and Low Dose Immunotherapy. In 2014, Dr. Vincent developed immune therapy techniques for treating chronic Lyme disease, autism, and a large number of autoimmune diseases with a high degree of success and safety.